Dulac Dental of Springfield performs all its dental procedures using the most modern technology and advanced materials. I, Dr. Jason W. Dulac, aims at helping people taking care of their beautiful smiles and ensure that smile lasts forever. I strive to offer a broad range of dental services and works closely with specialists I trust in each area to provide you with the best possible dental care. All dental treatments such as dental implants placement and restoration, Invisalign, root canals, cad/cam – cerec, endodontics, bleaching, ceramic laminates (veneers), 3d x-ray / cbct, dentures, general dentistry, cosmetic restorations, laser dental treatment are done by expert dentists under one roof. I have years of experience and advanced training in extensive dental areas. I am able to perform most procedures at the clinic without the need to refer you to a specialist. 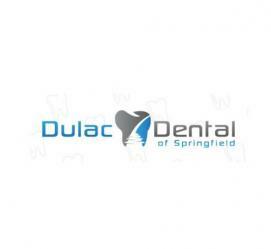 At Dulac Dental of Springfield, it is our priority to create a warm, comfortable, and welcoming environment for our patients, and deliver minimally invasive treatment with the best knowledge and care. We use only the best novelties and try to make every patient’s visit the most comfortable and painless. To know more about our services, visit us at https://www.dulacdds.com/ & https://www.dulacdds.com/our-services/.